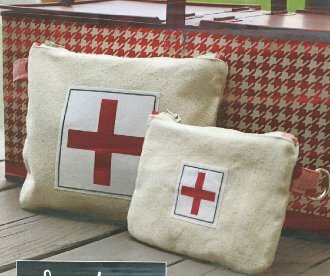 2 sizes of canvas bag patterns for camping, boating, or store it in your trunk. Put one in your saddlebags or take it on your snow machine. Make one for your teenage drivers, mine loved them! You'll be ready for anything. Includes 2 sizes of iron-on labels.